The classics. Timeless pieces that effortless and chic. Pieces that every gal should have her closet. I'll admit, I am still yearning to add classics to my closet. Have you ever heard of a capsule wardrobe? You know, the kind of wardrobe that only consists of classic pieces that are extremely versatile that you love to wear. Clothing such as the simple white button down oxford shirt or tan trench coat. These pieces are easily mixed and matched and don't necessarily follow any trend. I do not have a capsule wardrobe but I think the idea is amazing. Why do we always feel the need to follow trends? I would love to add simple and understated pieces to my wardrobe, mix and match, and continuously re-create looks to showcase the items in a new way. I have rounded up some items that are great "starter" pieces if you are looking to minimize your wardrobe, or make it easier! When in doubt, you always want to be able to reach for your best white tee and great pair of jeans if you have nothing else to wear...these are the outfits that will never, ever, go out of style. See below for more details! 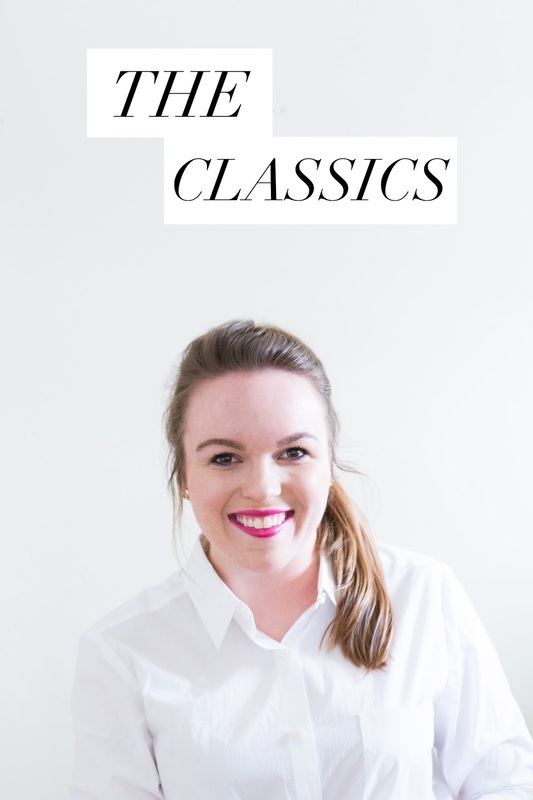 What classic pieces do you have for essentials?